A virtual giant, the V94 Hot Tub provides all the room you need with 94 square inches. The Whitewater-4 jet delivers a volcanic eruption of exhilarating therapy. 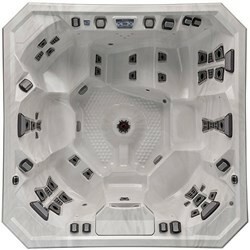 Add the 40 Jetpods, dual two-speed pumps and you have one dynamic hot tub engineered for a crowd. 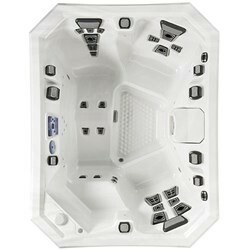 With its full body lounge, the V94L Hot Tub is the laid-back brother to the V94. Its Whitewater-4 jet delivers a volcanic eruption of exhilarating therapy especially to your feet and legs. 44 Jetpods, dual 2-speed pumps and five V3 Controls create custom-controlled vitalizing therapy. 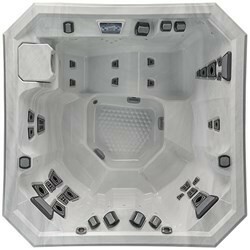 With six seating positions fit for a clan, the V84 Hot Tub allows you to soak with your family year-round. The Whitewater-4 jet and 37 jetpods with the V-O-L-T system deliver a customized massage along with five V3 Controls to allow you to target your trouble spots. 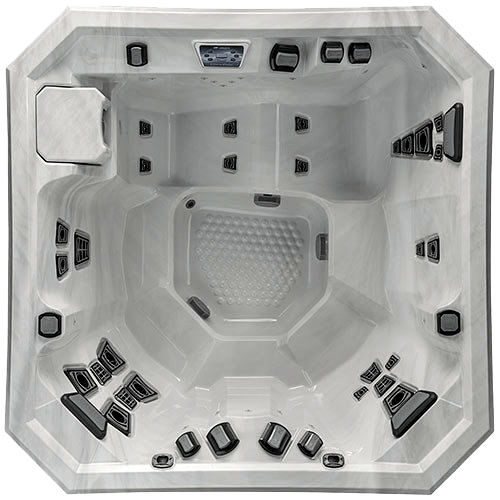 Five people can easily find their perfect seat in the V84L Hot Tub. The Commander’s Lounge provides head-to-toe relief. Its 35 Jetpods plus thundering Whitewater-4 jet and four V3 Controls give you the command you require. Stretch your legs in the V77L Hot Tub. Six seating positions accommodate five people with room to move around. Its full body lounge delivers a professional massage with 27 jetpods and V-O-L-T system. The three V3 Controls put the action at your fingertips. Chill out in your personal vacation spot with the V65L Hot Tub. Compact to fit tight spaces, its 22 jetpods soothe weary muscles and comfortable lounge lets you really chill out with its convenient plug-n-play system. 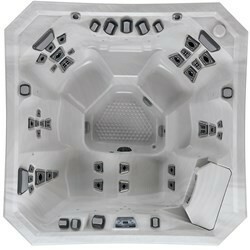 For more information on Marquis Vector21 Hot Tubs including color options and product specifications, click here. Discover the Vector21 Hot Tub that defines your style! 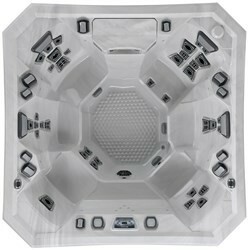 Contact Bucks County Hot Tubs today for more information on the entire line of Vector21 Hot Tubs by Marquis! 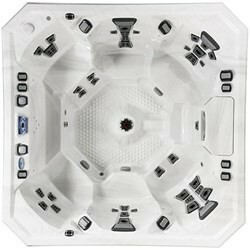 Visit our Bucks County Hot Tubs showroom to experience the Vector21 V77L Hot Tub by Marquis Today!